Ian Fleming was a fan of Sunspel, frequently wearing the brand’s Sea Island cotton in Jamaica, where he wrote the James Bond novels. 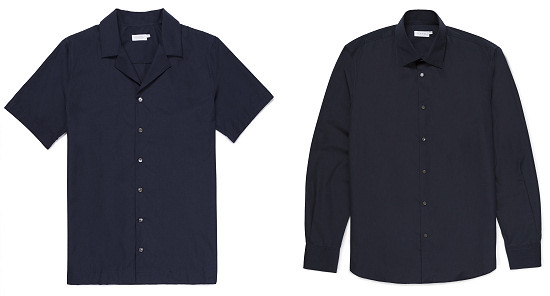 In homage, Sunspel has produced a range of clothing made from the same rare cotton. 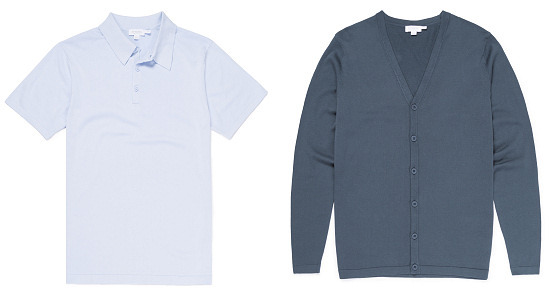 The range includes a Sea Island cotton version of Sunspel’s famous Riviera Polo Shirt, worn by Daniel Craig in the 2006 film Casino Royale, as well as crisp shirts, soft fully-fashioned knitted Polo Shirts and jumpers, and classic T-Shirts, and uses a cool, restrained palette of white, navy and sky blue. Sea Island cotton accounts for only 0.0004% of the world’s cotton supplies, making it one of the rarest cottons. It takes great skill to spin its fine fibr es, but when spun it produces the softest, silkiest cotton imaginable. The inventor of James Bond was fascinated by this fine cotton, which is still grown in the Caribbean today. He loved to wear clothes made from it, particularly when at his home in Jamaica, where he wrote all the Bond novels. A chance encounter with The Ian Fleming Estate confirmed that Fleming was a fan of Sunspel. It also explains why so often Bond is portrayed in Sea Island cotton shirts and short. Sunspel still imports the much sought-after, handpicked long staple cotton from the Caribbean, and this season has used it to make a distinctive collection characterised by great softness. The fine uniform texture, silky lustre, and great tensile strength of the cotton create clothes that are remarkably long lasting. The Sunspel design team looked to both Fleming and Bond when creating the capsule, hence the inclusion of the camp collar shirt and short sleeve knitted Polo which both have a retro 50s feel to them.